"Sampath Speaking" - the thoughts of an Insurer from Thiruvallikkeni: young Drug Officer shot and killed in Punjab ~ drug mafia !! young Drug Officer shot and killed in Punjab ~ drug mafia !! The phenomenon didn't start with the Netflix series, but Narcos certainly helped revive 1980s Colombian drug lord Pablo Escobar's status in North American popular culture. Since it premiered in 2015, the controversial series fuelled conversations about Colombia's persistent international image as a cocaine paradise dominated by charismatic drug traffickers.As a response, the Colombian journalists behind YouTube channel La Pulla (in Spanish, “the taunt”), a project by Colombian newspaper El Espectador, made a video responding to people who still glorify Escobar as a “hero”. Among other things, the video highlighted tragic episodes — and statistics — of one of the darkest periods of Colombia's history, such as the assassination of El Espectador's former director Guillermo Cano in 1986, and the bomb attack next to their offices in 1989.It is terrorism of a different kind – gruesome killings associated with drug mafia. Pablo Emilio Escobar Gavíria (1949 – 1993) was a notorious and wealthy Colombian drug lord and an exclusive cocaine trafficker. In 1975, Escobar started developing his cocaine operation. He even flew a plane himself several times, mainly between Colombia and Panama, to smuggle a load into the United States. Reports state that he later bought fifteen new and bigger airplanes (including a Learjet) and six helicopters, he decommissioned the plane and hung it above the gate to his ranch at Hacienda Napoles. The war against Escobar ended on December 2, 1993, when Colombian National Police assisted by Colombian electronic surveillance team, using radio-triangulation technology, found him hiding in a middle-class barrio in Medellín and shot him dead. The Robin Hood image that he had cultivated continued to have lasting influence in Medellín. Year 2012, miles away in Mexico, Courageous Mexican mayor Maria Santos Gorrostietahad cheated death twice when she survived assassination attempts by druglords — but could not remain successful for the third time. Gorrostieta, known as a “heroine of the 21st century” for her refusal to be cowed by the ruthless cartels that rule much of Mexico, was kidnapped in broad daylight after leaving her home in the town of Morelia. She was driving her daughter to school when thugs in another vehicle blocked her white van. They pulled her out and began kicking and beating her in front of passers-by. The 36-year-old mother begged the men to spare her girl and appeared to get into the thugs’ vehicle voluntarily, witnesses said. Gorrostieta was one of at least seven women who were willing to serve as mayors or police chiefs. Poor bad criminal history bemoans Medico as two of them, Hermila Garcia Quinones and Silvia Molina, were assassinated. A third, Erika Gandara, was kidnapped and is feared dead, and a fourth, Marisol Valles Garcia, 21, left her job and fled to the United States. Gorrostieta, a doctor who studied medicine in a university in Morelia, began getting threats after she ran for mayor of Tiquicheo and was elected as a member of the Institutional Revolutionary Party in 2008. She ignored the threats — at her own peril. The fearless woman mayor who survived two drug gang assassination attempts was beaten to death and dumped by the roadside. It was described that going by the stab and wound injuries she could have been tortured to death. For long, I had been under the impression that such things are shown with exaggeration in movies or such things happen elsewhere in globe .. .. but sadly, a similar fate bemoaned at Punjab too .. .. .. a senior health official was on Friday shot dead at point-blank range at her office in Punjab's Kharar by a man who later pumped a bullet into himself, police said. 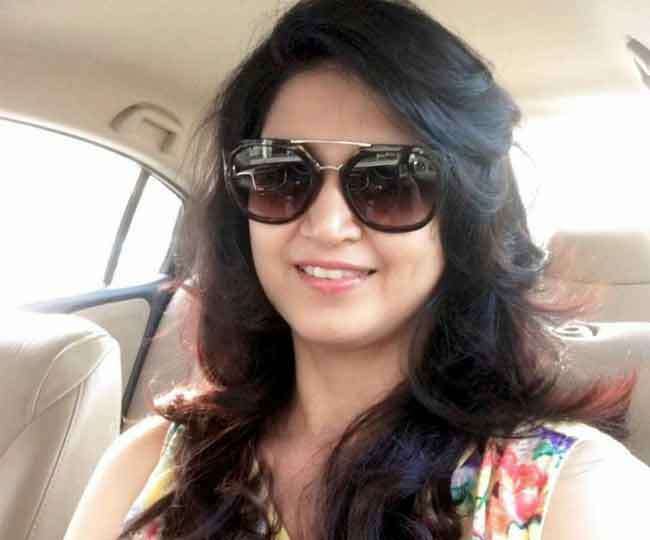 The official, Neha Shorie, was posted with the Drug and Food Chemical Laboratory in Kharar and dealt with licensing in Mohali and Ropar districts, they said.The accused, Balwinder Singh of Morinda, entered her office and fired three bullets from his licensed revolver at Shorie at around 11.40 am, a police official said. After firing bullets at the woman health officer, the accused tried to flee the spot on his motorcycle but was caught, the official said. "The people nearby caught hold of him. After being held, he initially tried to threaten those who had caught hold of him by pointing his revolver towards them but when he found trapped, he fired at himself, the official added. Kharar DSP, who reached the spot, took the accused into custody. Singh is undergoing treatment at PGIMER at Chandigarh and is in a critical state, police said. A case of murder was registered and a probe initiated, they said.Preliminary investigations revealed that the accused was running a chemist shop in Morinda and in 2009, Shorie, who was then posted as District Drugs Inspector in Ropar, had raided his store and had reportedly recovered intoxicant drugs from there, following which she had cancelled his drugs licence. Though the motive of the cold-blooded murder was not yet confirmed, it is believed that the accused was nursing a grudge against the woman health officer since his drugs licence was cancelled. The accused had got the new arms license of a .32 bore revolver a couple of months back. Even as the model code of conduct imposed for the Lok Sabha polls since March 11 required every licensed weapon to be deposited with the police station concerned, he was still possessing his arms, which he used to commit the crime. Punjab chief minister Amarinder Singh has directed Punjab DGP Dinkar Gupta to ensure speedy probe into the killing of Shorie. The chief minister ordered prompt investigation into the matter and ensured that the accused will be given exemplary punishment.He said no one would be allowed to interfere or intimidate any public servant in the discharge of their duties. After the incident, opposition SAD and AAP trained guns at the Congress government in Punjab, alleging law and order had broken down and even officials were not safe inside their offices. The hippopotamus at the start are in Columbia .. .. Hippos are native to Africa, not South America. 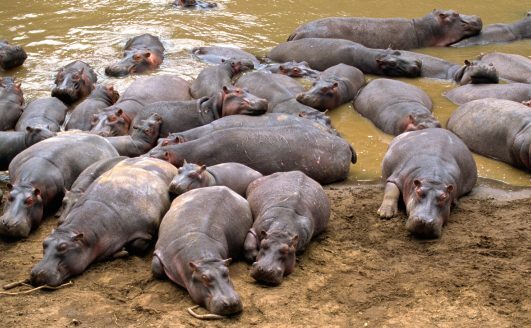 Around 60 wild hippos reportedly live around Hacienda Nápoles, a ranch southeast of Medellín. Some of the hippos have already made it to the nearby Magdalena River, with a few sighted more than 150 miles away. They would never have been in Colombia but for the drug lord Pablo Escobar, who had them in his private zoo.